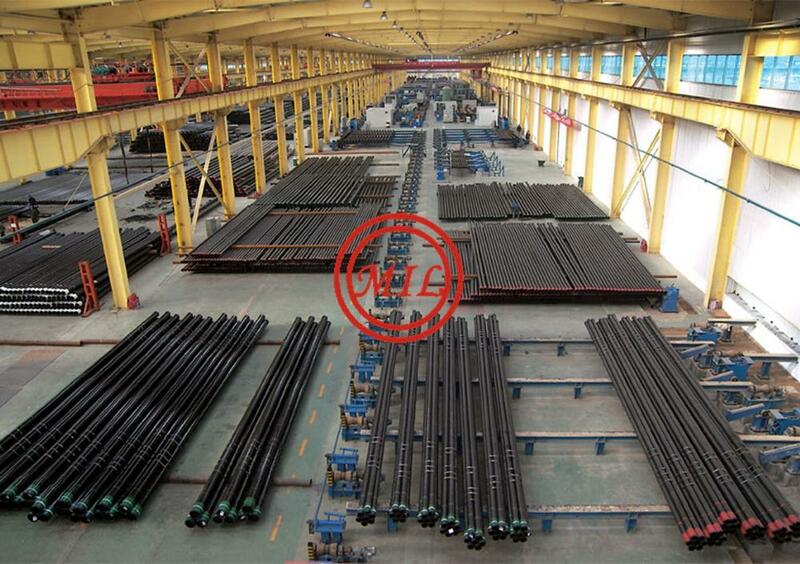 Notes: General purpose pipe manufactured to API specification 5CT. 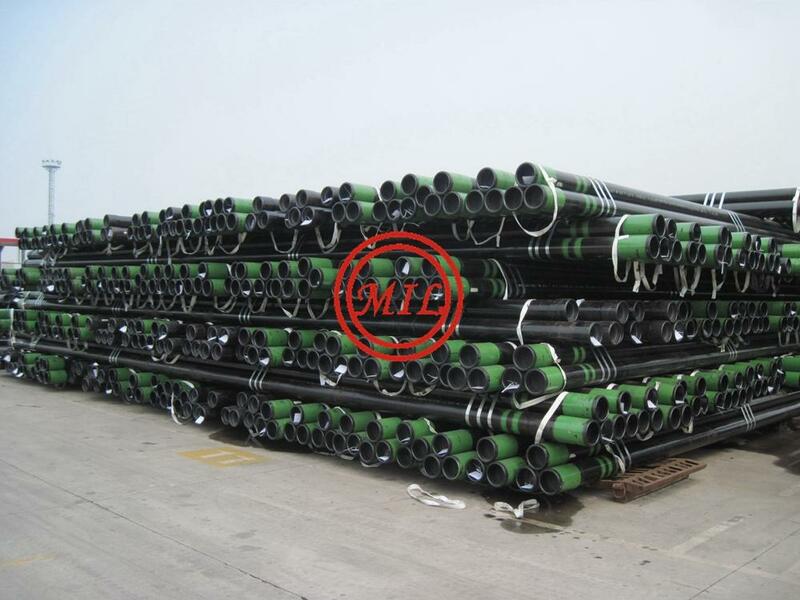 Notes: General purpose pipe manufactured to API specification 5CT. Similar to K55 except the minimum tensile strength is lower. 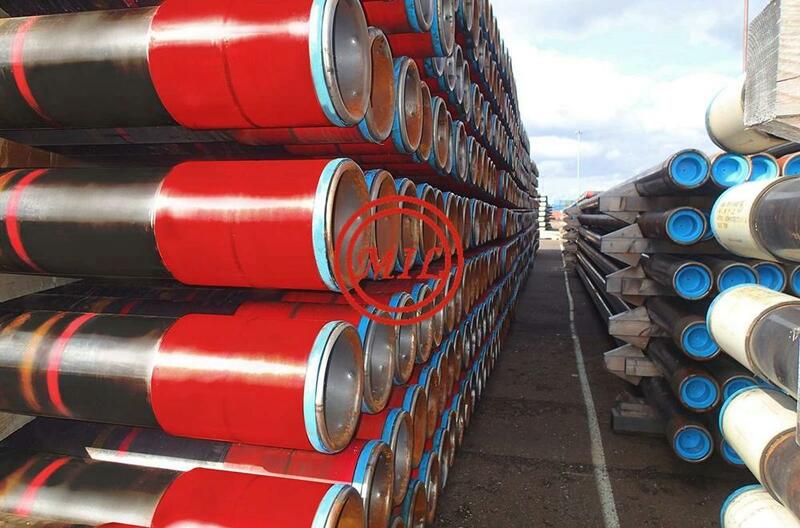 Usually, this grade is used in tubing applications. Notes: Manufactured to API specification 5CT. This is a controlled yield strength material with a hardness testing requirement. L80 is usually used in wells with sour (H2S) environments. Notes: A lower-cost alternative to standard Quench and Tempered API N80 (walls less than 0.500 inch). 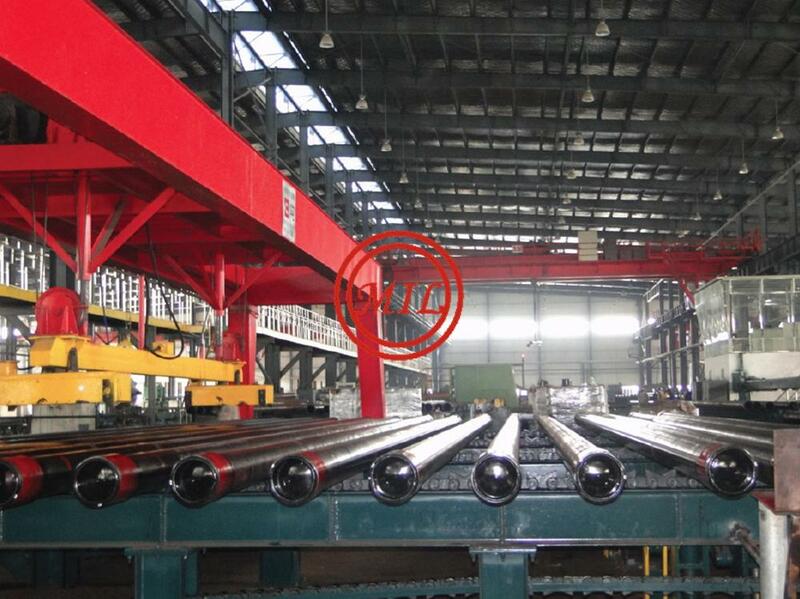 Inspection, testing and dimensions are in accordance with API 5CT for grade N80. Charpy v-notch impact test absorbed energy results meet API SR16 and are lower than Quench and Tempered N80. Hardness testing is conducted as required for API T95, with the exception of frequency (Casing and Non-Upset Tubing - First, last and every tenth joint in between; Upset Tubing - First, last and every 25th joint in between). To reduce order lead time, sulphide stress corrosion cracking (SSCC) testing is not required for every order. If required by the customer, SSCC testing can be performed to U. S. Steel Standard Mill Practice P-1004 (NACE Standard TM-0177-Method A) with a guaranteed minimum threshold stress of 85 percent specified minimum yield strength. Notes: API grade for general use in deep wells. This grade is not generally considered suitable for sour condensate wells. Notes: API grade for deep well service, not generally for use in sour condensate wells. Quadrant hardness testing is required without any specified limits other than the variation between readings. Impact testing is required for each heat and/or lot. NDT inspection is required with two methods of inspection (typically EMI and UT are performed on this product). 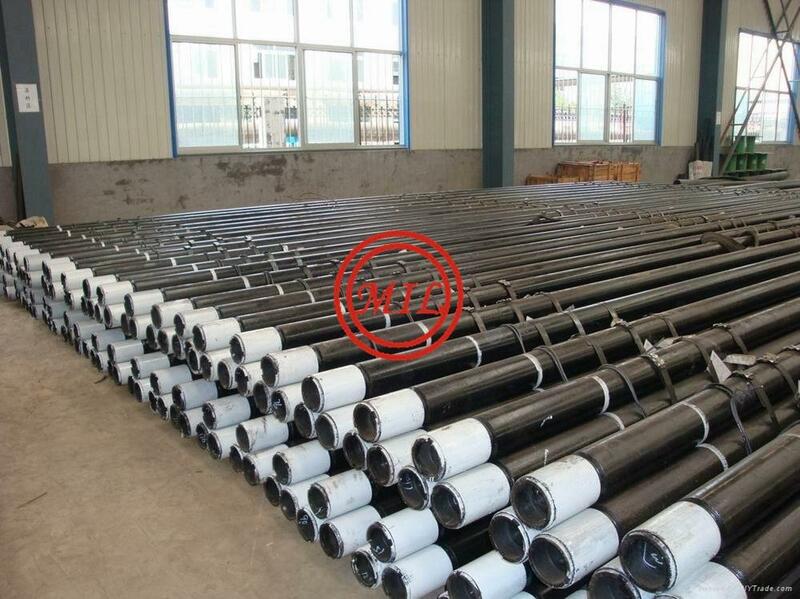 Steel grade for use in deep well applications. Dimensions and inspection are in accordance with API 5CT Group 3 requirements. ISO 11960:2011-06 (E). 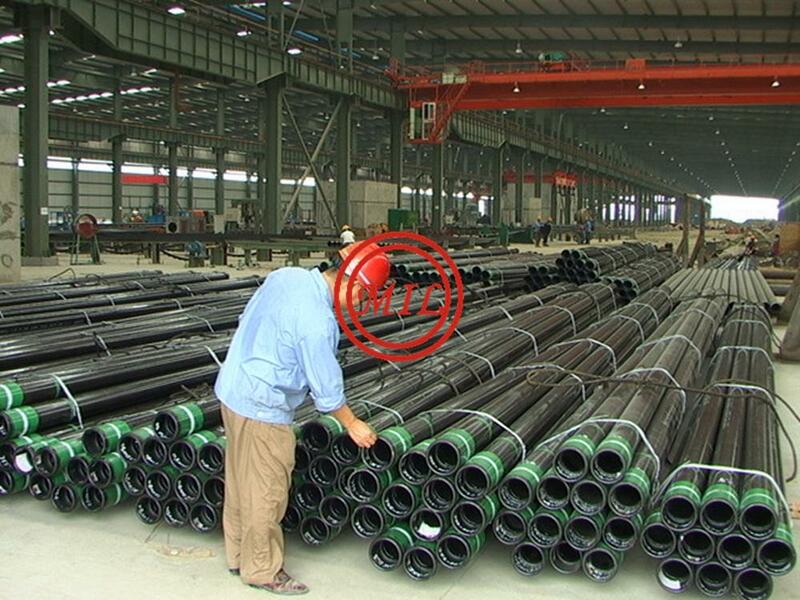 Petroleum and natural gas industries - Steel pipes for use as casing or tubing for wells. GOST 632:1980 Casing pipes and couplings. 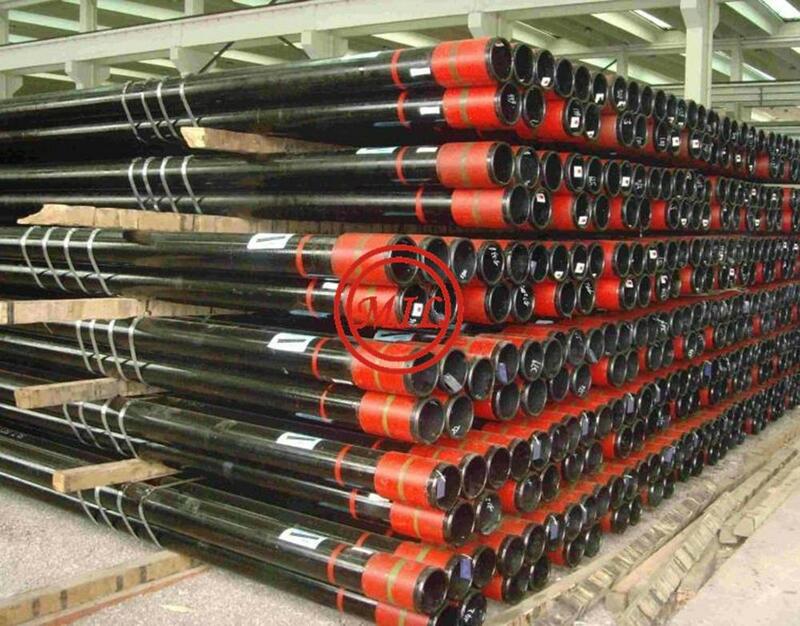 Outside Diameter: 1.660" - 30"
H40, J55, K55, N80-1,N80-Q, L80-1, C90-1,C90-2, C95, T95-1,T95-2,T95-3, P110, Q125-1, Q125-2,Q125-3,Q125-4. 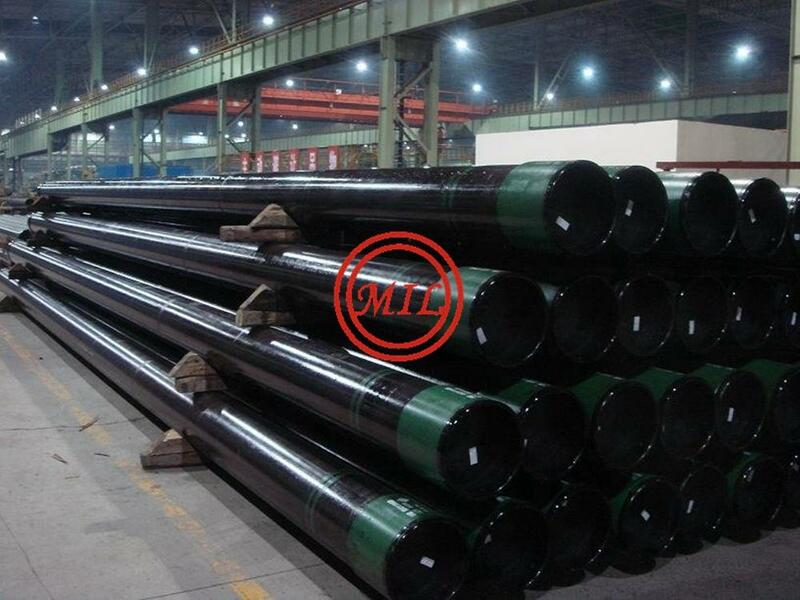 Outside Diameter (OD) up to 4" +.031", -.031"
4 1/2"+ +1%, -0.5%, not to exceed .125"
Drift diameter up to 2 7/8" OD (42" mandrel) d-3/32"
3 1/2" to 8 5/8" (6" mandrel) d-1/8"
9 5/8" to 13 3/8" (12" mandrel) d-5/32"
pup joints (2,4,6,8,10 &12') +3", -3"
*White Band: suitable for all inspections performed (incl. min. 87.5% body wall). *Yellow Band: Repairable reject. 87.5% body wall remaining after repair. Locate bands on either side and circle around defect. *Blue Band: Imperfections of undetermined depth. Identified as above. *Red Band: Defective length. Identified as above. Body wall defects must be cut out of tube. Drift restrictions indicated by red bands on either side of restriction - just like other defects. Tube classification bands appear in same location (box end) as on used material. 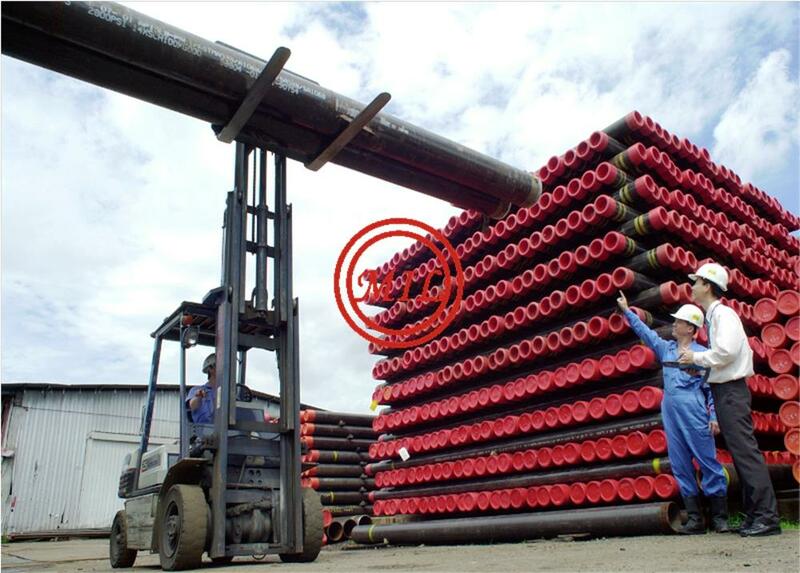 Many types of special casings and tubings including anticorrosion casing and tubing, high collopse casing, high temperature casing, premium connection casing and tubing have been successively developed some of which have reached the level of world class. Generally, the internal coating for casing and tubing is made of optimized epoxy phenolic resin. It has high impact and temperature resistance, perfect edge coverage, extremely high glossiness and flexibility, and excellent adhesion and abrasion resistance. The combination of epoxy and phenolic formulations provides the superior molecular interlinkage, and also the same bend resistance and torque resistance as metal. 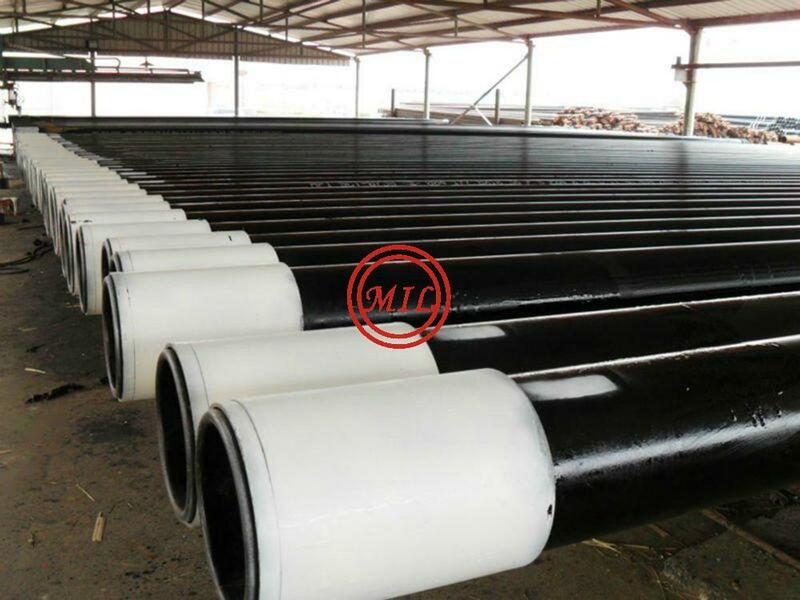 The internal coating for casing and tubing is suitable for extremely corrosive or high temperature environment, such as chemical treatment wells, high temperature and high pressure corrosive wells. What’s more, it can provide the capability of resistance to scale, pitch and paraffin so as to promote flow efficiency. Specifications︰ Specification 39.0147016.40-93 139,7; 146,1; 168,3; 177,8; 219,1; 244,5 5.9-10.7 С, Дс 22ГЮ, carbonic Casing pipes with the buttress thread for casing of oil and gas wells. Specification 39-0147016-108-2000 139,7; 146,1; 168,3;177,8; 219,1; 244,5 5.9-10.7 С, Дс 22ГЮ, carbonic Casing pipes with the shot triangle or trapezoidal thread(OTTM) for casing of oil and gas wells. 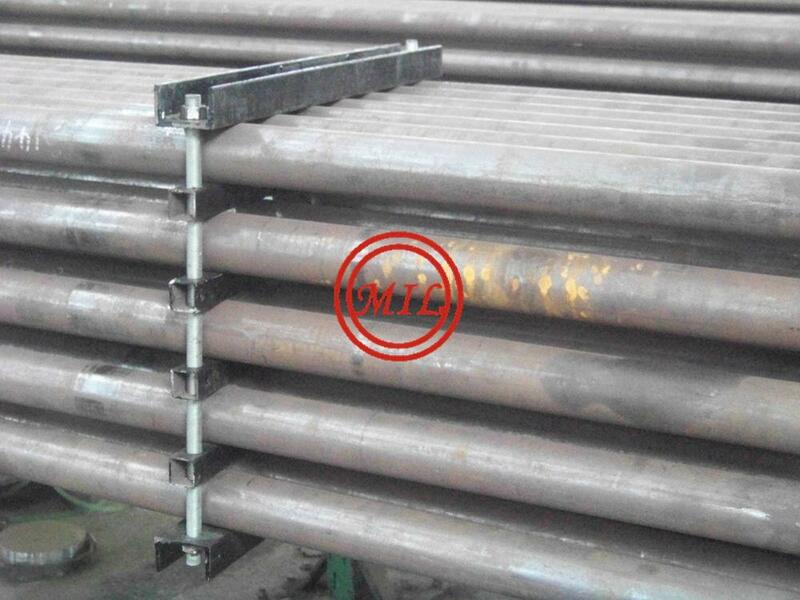 Specification 39.0147016.79-2003 146,1; 168,3; 244,5 6.5-10.7 С, Дс 22ГЮ Flush-joint casing pipes with the buttress thread for casing of vertical, angle and horizontal oil and gas wells. 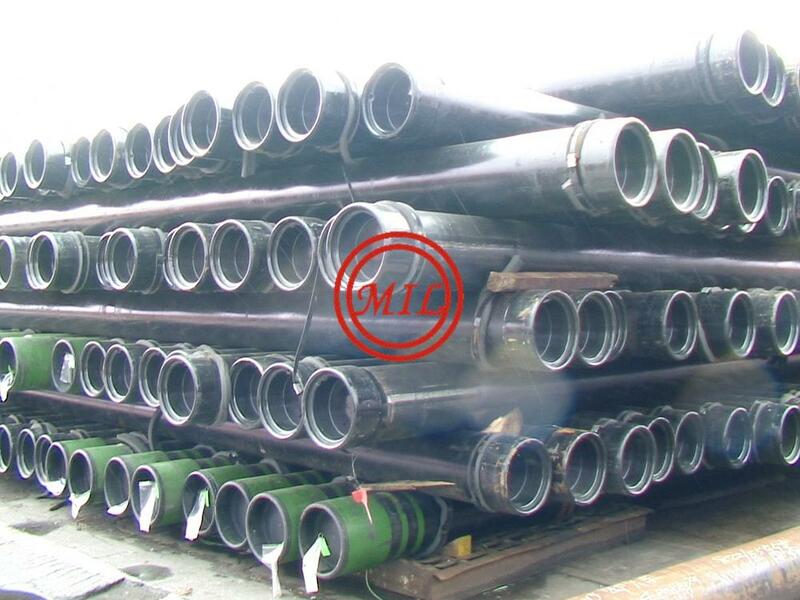 Specification 1321-005-48185807-2003 244,5 6.0-7.0 Дс Casing pipes with the buttress thread of extended precision for casing of oil wells.